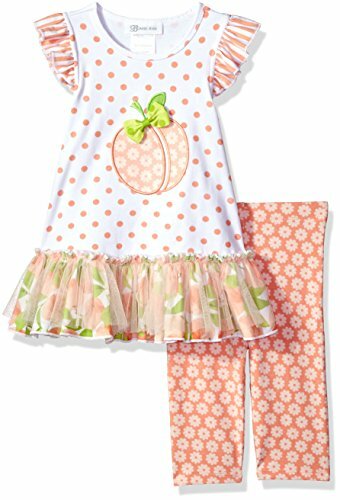 Flutter sleeve dress with peach applique and mesh tutu accent. Coordinating printed knit capri legging. Bonnie Jean dress has made fashionable, high quality, affordable and age appropriate dresses and playwear sets since 1935.